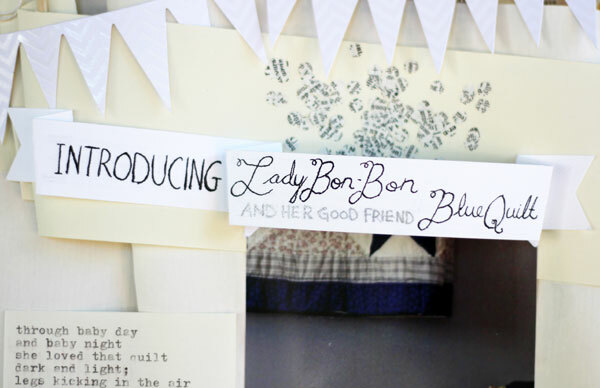 When Lady Bon-Bon was a small baby, she absolutely loved this blue quilt that hung near her bed. She would lay and stare at it, and chat at it for such a long time. I wanted this layout to feel somewhat theatrical, to suit the uber dramatic title. I folded and rolled lots of banners of different sizes to back the photo. 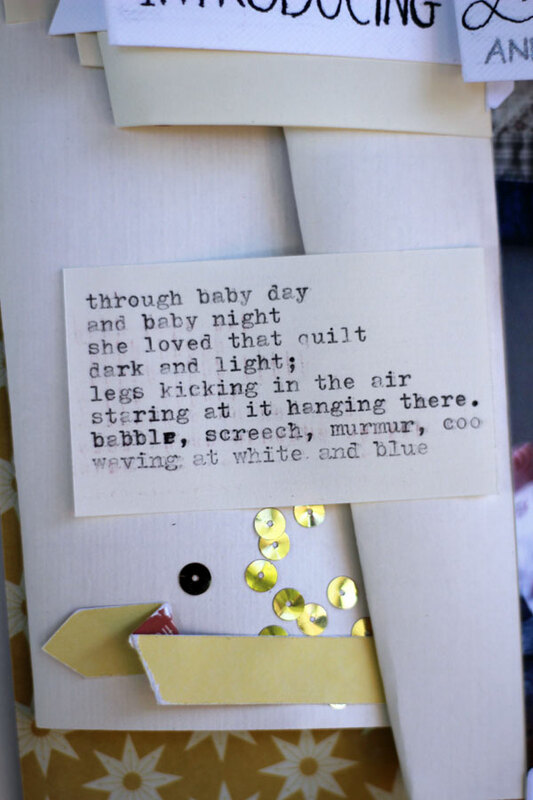 I tucked in all sorts of bits of tags, bows, and confetti. I just kept folding, tucking and layering until the page was plenty full. I hand lettered the title on a banner in black and silver ink. I sprinkled a bunch of text confetti punched from a dictionary page behind the banner. 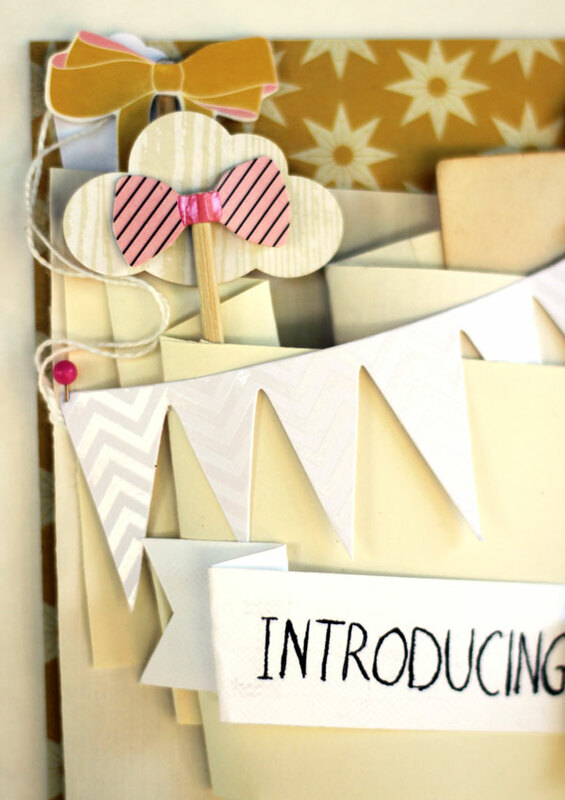 I used several Heidi Swapp Sugar Chic Stix bows, and a Heidi Swapp resist banner on this page. I actually just really love using these awesome resist products uncoloured and white, the way they come. 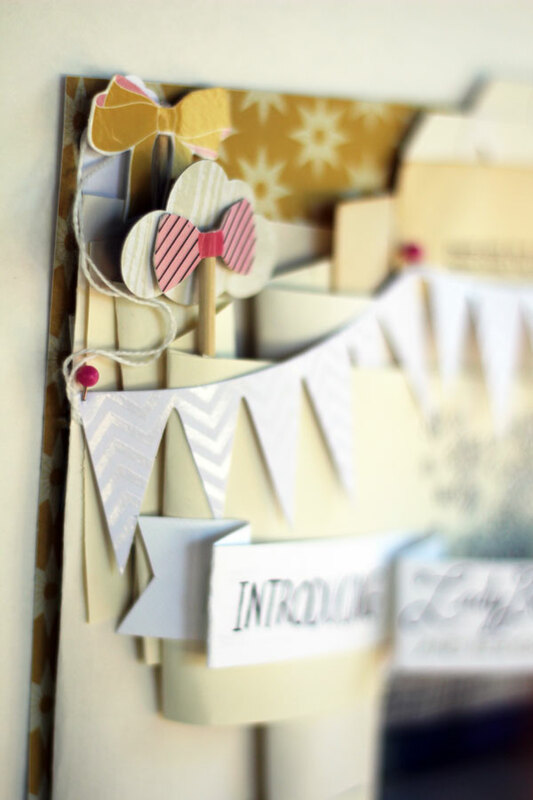 I love the tone-on-tone look of the pattern created by the glossy print on the white cardstock. So subtle, but so pretty! Hopefully here you can get an idea of how many layers of banners were tucked around each other. I created additional dimension by adding the embellishments between layers of banner, emphasizing the texture on the page. Clouds! 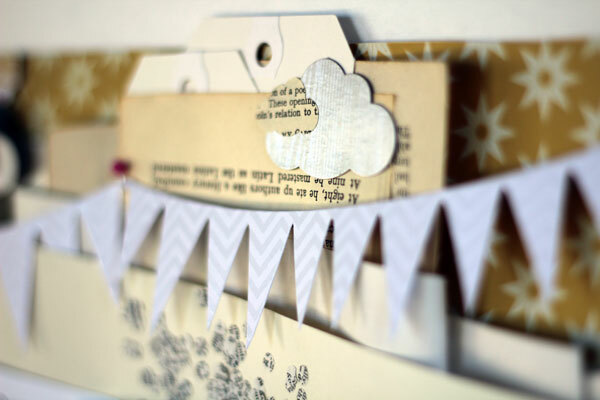 A small cloud punched from old book paper, and the large cloud in textured glossy woodgrain was punched from a package of embellishments by Studio Calico. I love all the folding! Beautiful layout. I'm a new follower. 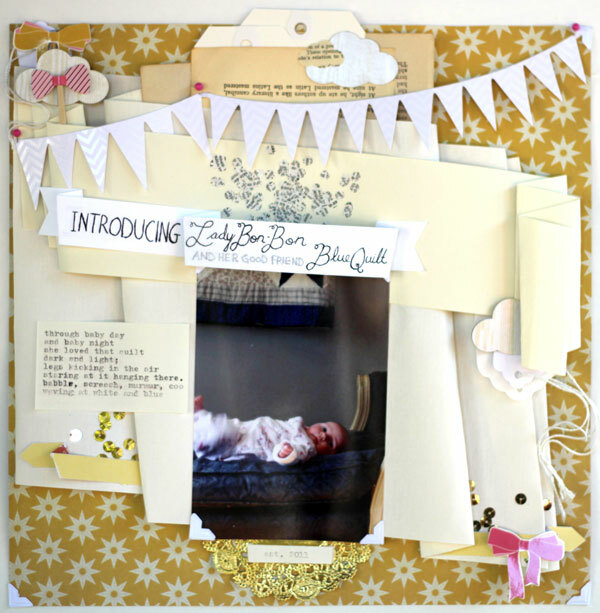 What a gorgeous layout! I love all the details. I love the gloss and white of the Color Magic banners, too. LOVE the layers on this layout. So much texture without taking focus off Lady Bon-Bon. Sweet.